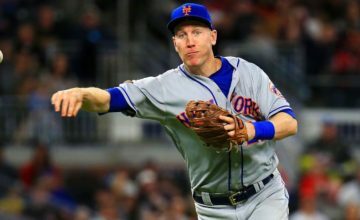 When the New York Mets had a disastrous 2018 season, it was thought that they would make a bunch of moves to get themselves out of the bottom of the National League and back into legitimate playoff contention. And while the team has made a series of roster moves, they have failed to make any that will be impactful enough to make the team contenders in the near future, which will mean at least one more year of failing to compete barring a big move coming later in the winter. 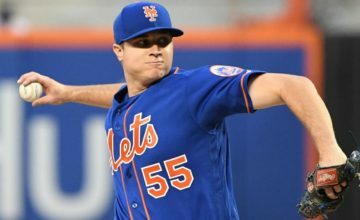 Right now, the Mets have an uncertain situation with their starting pitching, as trade rumors for Noah Syndergaard and Jacob DeGrom are still swirling. The team says that they are prioritizing an extension for DeGrom, last year’s Cy Young award winner, but until the extension actually happens it is hard to believe that it is actually at the top of the team’s list of priorities. Then there are the team’s position players, which still aren’t of a high enough level to win a team a championship. This is a space where the Mets have made some small moves, but nothing like bringing in a Manny Machado or Bryce Harper the way that the division rival Phillies have been trying to do. And with the Phillies coming from a place of already being superior to the Mets, the addition of one of those two all-star level players would just keep the Mets behind at least one team in the National League East for the foreseeable future. Of course, it could be worse for the Mets in the National League East. The Miami Marlins are one of the most dismal teams in Major League Baseball, and sold off most of their top talent once their Derek Jeter-led ownership group took control of the team. And with 2019 World Series odds at MoPlay.com putting the Mets ahead of the Marlins in terms of their chance to win a title, it’s not hard to see that things could be worse. But comparing the Mets to the Marlins shouldn’t be the goal that the Mets aspire to. The Mets are a team that have shown that they can spend money on free agents in the past, even if they spent that money on players like Jason Bay and Xavier Nady rather than actual elite-level players. They could easily do something similar in this day and age, but don’t seem to have the ability or desire to lure a prized free agent this time around. The Mets are saying that keeping their starting pitching is their top priority. If they fail to keep DeGrom and Syndergaard, it will be because they failed to keep a roster around them that was compelling enough to convince them to stay in New York. Syndergaard has said that he doesn’t want the trade rumors about him to be true. 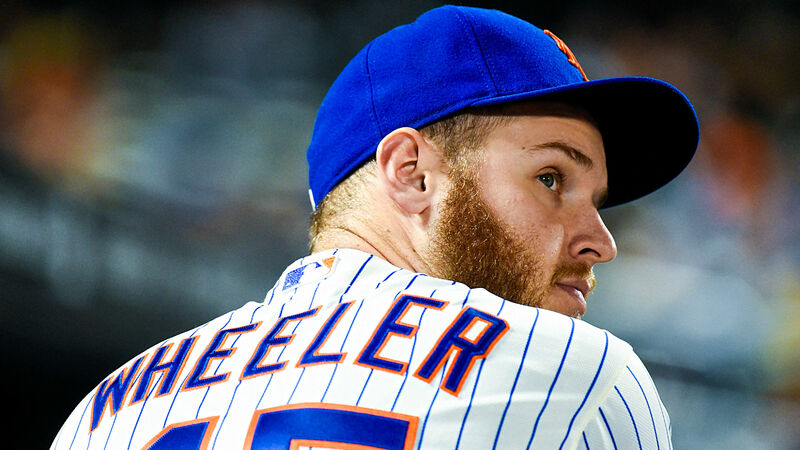 But if the Mets can’t make their team a contender in the near future, he might have no choice but to look elsewhere for a place where winning is possible. Santiago/Avilan and some other depth arms. This is yet another huge leap in the right direction. And don’t overlook the influx of southpaws into the mix, which was not the case last season. They will even have Zamora for the entire season. The Mets also start the season with McNeil, a healthy Conforto, a more experienced manager and some interesting coaching additions. Just as importantly, the new Triple-A franchise in Syracuse will have a lot of talent to showcase and restock the parent club. 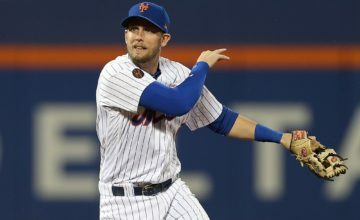 The Syracuse outfield will likely have Broxton, Kevin Kaczmarski, Tim Tebow, Rajai Davis, and Gregor Blanco. Around the horn: Peter Alonso (to start the year), Dom Smith (if he gets off to a slow start), Andres Gimenez (top-50 MLB prospect), Luis Guillorme, Dilson Herrera, David Thomson and JD Davis with super utility guy TJ Rivera back in uniform. Nido will get lots of playing time behind the dish. And the arms are not too bad either, with Oswalt, Flexen, Conlon, newly acquired Walter Lockett and some former big leaguers in the mix. Watch out for three southpaws who will likely be parked in Double-A: David Peterson, Thomas Sczupuki and Anthony Kay. Some very good arms will also be parked in the Syracuse pen: Bashlor (guessing he will be the closer), Sewald, Hanhold, Rhame and Tim Peterson. It has gone a bit under-the-radar, but the new regime has done a very good job with the the B Squad in addition to the A Squad. Yes, it is all just on paper, but nothing wrong with the way it is all shaping up. Much better depth across-the-board. If the deGroms, Syndergaards, and Wheelers pitch like they did last year, a good front office wants to make sure they can be extended rather than to spend $30 mil annually on Harper or Machado. Personally, I’d like to see them sign Tony Sipp and go with four righties (Diaz/Familia/Lugo/Gsellman) and four lefties (Wilson/Sipp/Zamora/Avilan/Santiago) in the pen.